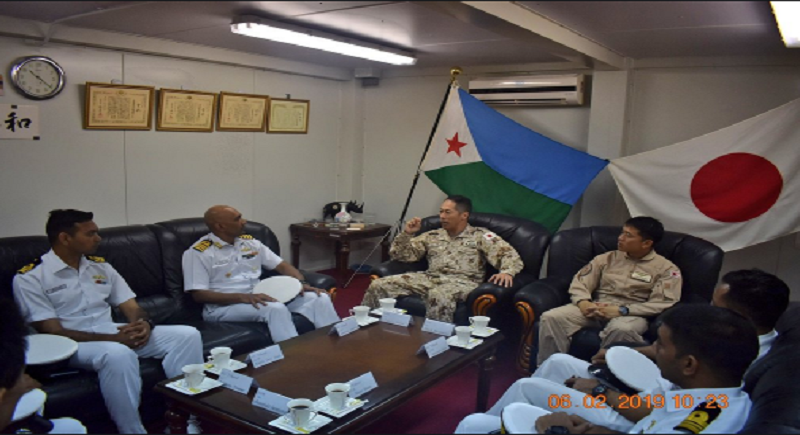 Djibouti, February 8: Maritime forces from East Africa, West Indian Ocean nations, Europe, and the United States, as well as several international organizations, took part in the ‘CUTLASS EXPRESS’ exercise. This event organized by these nations and reviewed serious challenges at sea such as illegal fishing, trafficking of weapons, narcotics, the threat of piracy. 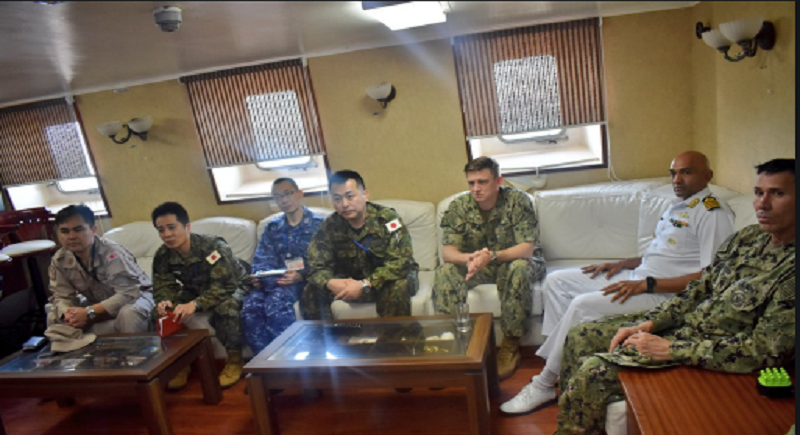 The aim of Exercise was to improve law enforcement capacity, promote regional sec & progress inter-operability between the armed forces of the participating nations for the purpose of interdicting illegal maritime activity in the Oceanic region. “Bridges of Friendship Stealth frigate of #IndianNavy INS Trikand participates in a multinational trg ex CUTLASS EXPRESS-19 f @SpokespersonMoD @DefenceMinIndia @adgpi @IAF_MCC” tweeted spokesperson of Indian Navy. The eighth iteration of the annual multinational maritime exercise Cutlass Express taking place in the vicinity of Djibouti, Mozambique and Seychelles began on January 28. 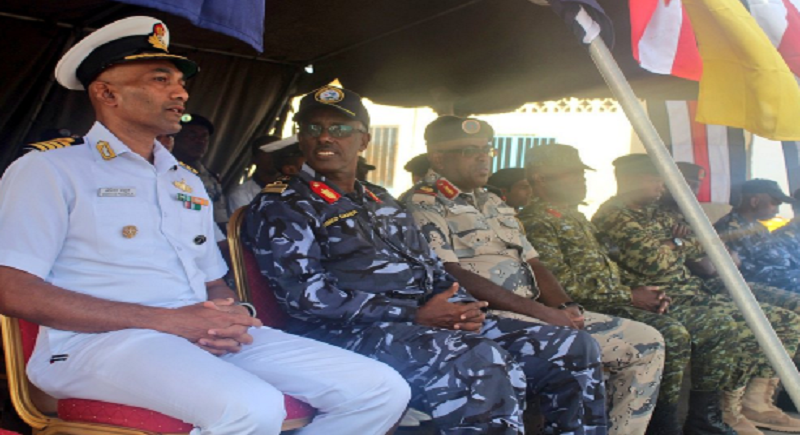 Maritime forces from East Africa, West Indian Ocean nations, Europe, and the United States, as well as several international organizations, are taking part. Sponsored by US Africa Command (AFRICOM) and conducted by US Naval Forces Africa, Cutlass Express is designed to assess and improve combined maritime law enforcement capacity, promote national and regional security in East Africa as well as information sharing, planning and operating.